It's a great day to ride. Full Pedal is far more than a workout. It’s music that motivates you, instructors that inspire you, and a community that welcomes you. 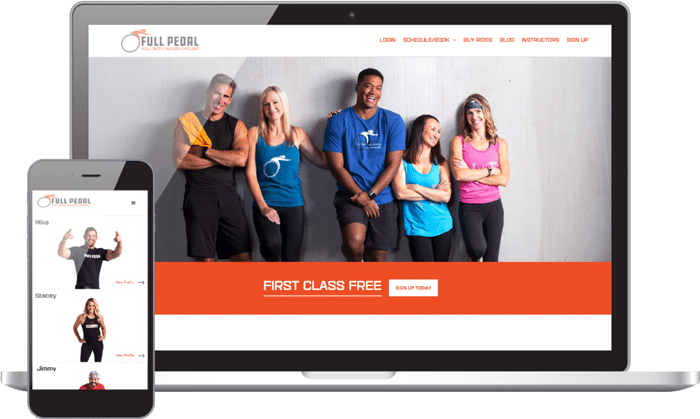 They wanted their website to be redesigned to give a more welcoming and open feel that would ease new members into the community they form in their cycling gym. We worked with new colors and brought their instructors to the front-line of the website to give their brand not one, but many welcoming faces.